Are you tired of losing sleep over the "drip, drip, drip" of a leaky bathroom sink? Do you find yourself jumping in and out of the shower as fast as you can to avoid the freezing water temperatures? Put an end to your plumbing problems with the amazing services of Helmer Plumbing. We're an accredited plumbing contractor that handles a wide variety of residential and commercial services, including water heaters, drain cleaning and leaky faucets. With the help of our fantastic plumbing experts, we'll take care of all of your plumbing needs in no time at all. Give us a call today! Backed up sewers and broken faucets can take up a lot of your time and energy, which is why Helmer Plumbing takes your plumbing needs very seriously. Under the guidance of our Master Plumber (License #5384), we provide a wide variety of services at incredible prices. We have a Backflow Specialist on staff to fully inspect your systems and prevent minor issues from becoming major problems. With outstanding services and friendly plumbing contractors, we've earned an A+ accreditation from the BBB, so you can always count on our top-notch plumbing services. 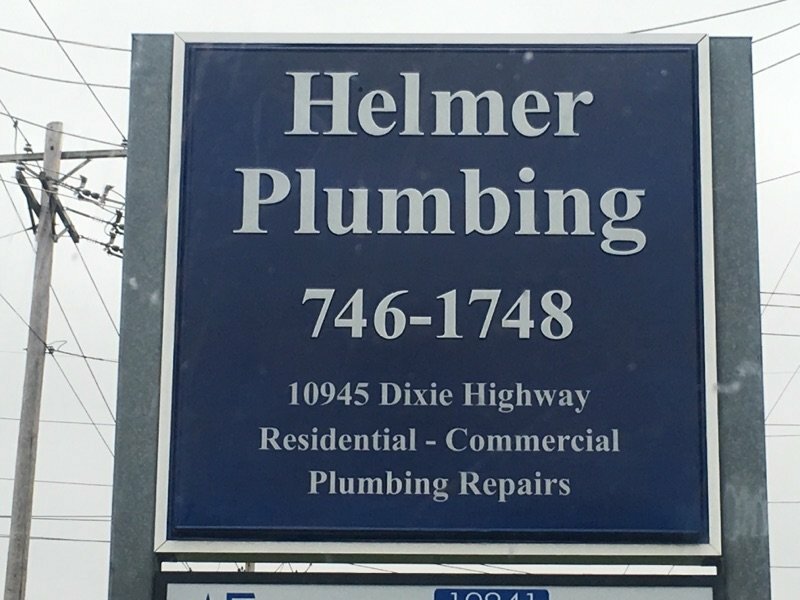 As your local leading plumbing expert, Helmer Plumbing is proud to offer a wide variety of residential and commercial plumbing services that are sure to fit your needs. We offer expert sewer and drain cleaning, clogged or damaged drain line repairs, faucet repairs, back flow testing and water heater installation, repairs or replacements. We're your go-to plumbers for all of your residential or commercial plumbing needs! No matter how large or small your plumbing problem, the amazing team at Helmer Plumbing is ready to help! From cleaning out sewer lines to unclogging toilets, we'll take care of your problem in no time so you can get back to your busy schedule. We serve clients throughout the Northern Kentucky area. Give us a call at 859-746-1748 for an estimate! For more information, call 859-746-1748 today!